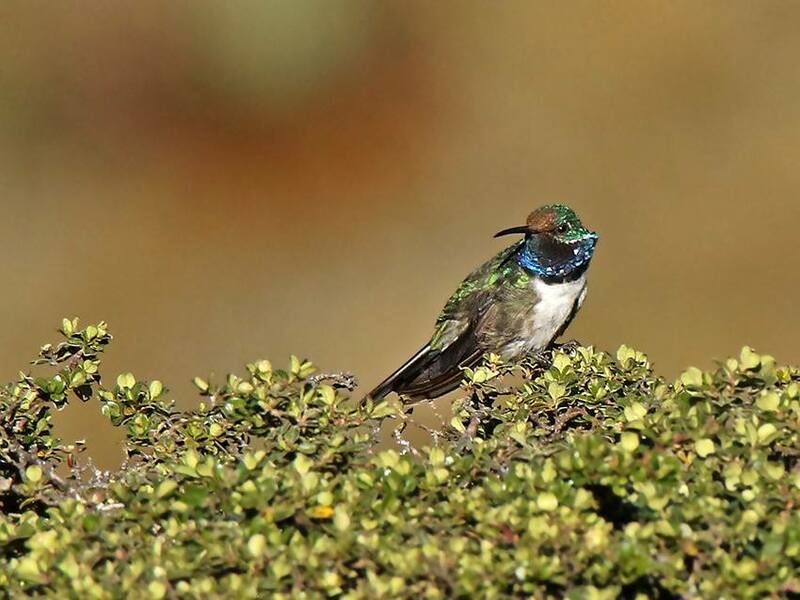 Perched in a creek bed in the Ecuadorian Andes, a striking bird with a brilliant blue throat has revealed itself to science for the first time. Dr. Francisco Sornoza-Molina of Ecuador’s Instituto Nacional de Biodiversidad and colleagues first observed an unidentified hummingbird during fieldwork in the páramos of southwest Ecuador in April 2017. After the initial expedition, the team returned to study the possible new species and confirm the finding. They dubbed the hummingbird the blue-throated hillstar (Oreotrochilus cyanolaemus), for its dazzling blue throat. Hillstars, of the genus Oreotrochilus, are native to the Andes of South America. They reside in high-elevation habitats and have special adaptations to cold temperatures. However, prior to Sornoza-Molina’s discovery, none were known to have an iridescent blue throat. Smalldifferences in appearance, genetics and calls suggests that the blue-throated hillstar is a species new to science, researchers report September 26 in The Auk: Ornithological Advances. The blue-throated hillstar is restricted to the west Andean mountain ranges, in the southwestern highlands of Ecuador, an area historically poorly explored by ornithologists. Within its small range, the species is found only along bush-lined creeks in an area of about 100 square kilometers. Researchers estimate there are fewer than 750 individuals in the wild. Published on September 26, 2018, the unexpected discovery is the first of its kind in almost twenty years — the last new bird species from Ecuador was described in 1999. However, scientists fear the blue-throated hillstar is already close to extinction. The hillstar’s home faces serious threats, including ranching, agriculture, mining and fires. The new species is listed as critically endangered due to its restricted distribution, low population size and threatened habitat. 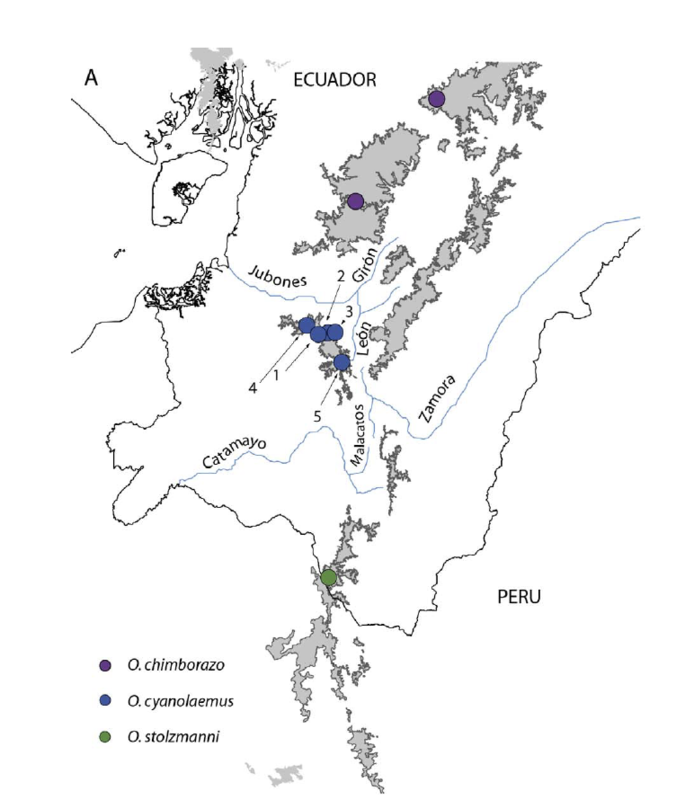 Nature and Culture is currently working in the southwest Andes of Ecuador to establish a new conservation area. 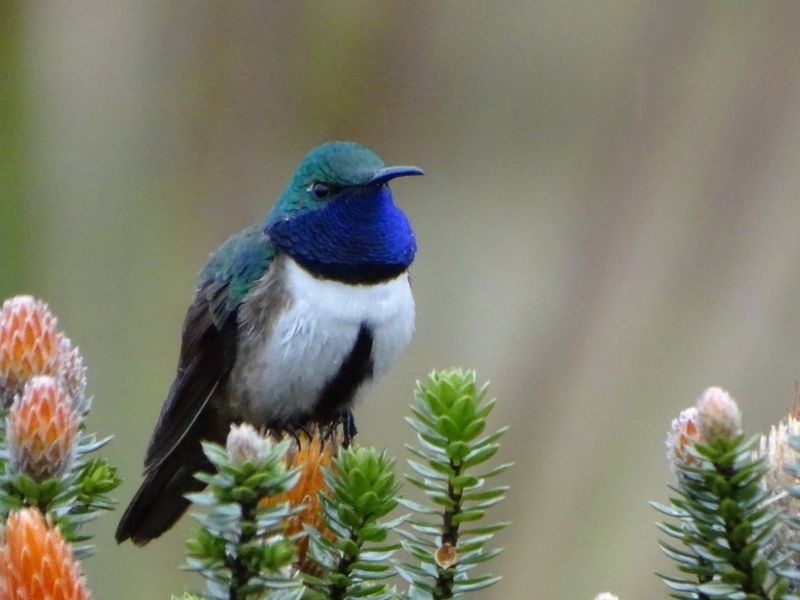 The proposed area – spanning around 175,000 acres in Cerro de Arcos – will protect the blue-throated hillstar’s entire habitat in addition to critical páramo and cloud forest ecosystems, wetlands and important water sources. 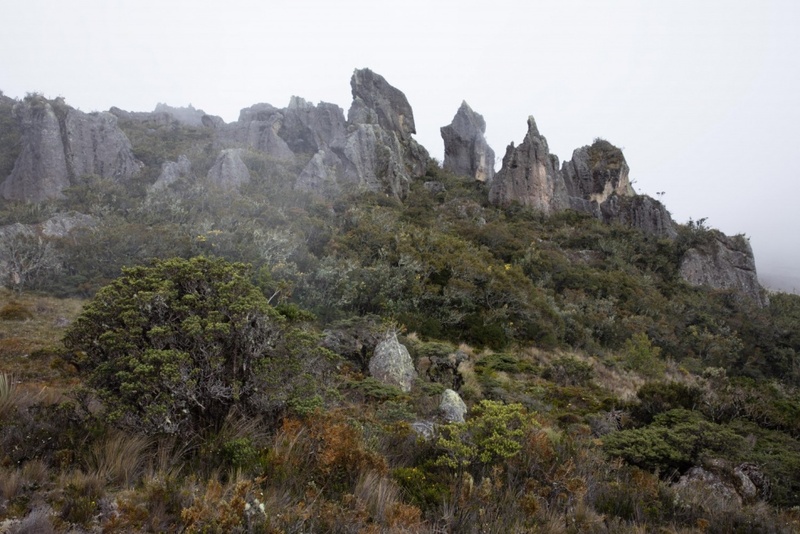 The area will also preserve portions of the Inca trail, an ancient trail used by the Inca empire to connect Cuzco with its northern capital, Quito. Over the past year, we have been working with Ecuador’s Ministry of Environment, Ministry of Tourism, Water Secretary, municipalities of Saraguro and Zaruma, Kawsay Foundation and local and indigenous communities to conduct biological and geographical assessments and gain community support for the proposed conservation area. We are in the process of securing funding to continue and complete the declaration. Congratulations to Sornoza-Molina, his colleagues and all who contributed to this incredible discovery! We can’t wait to legally protect the blue-throated hillstar’s home. Click here to learn more about our work in Ecuador.